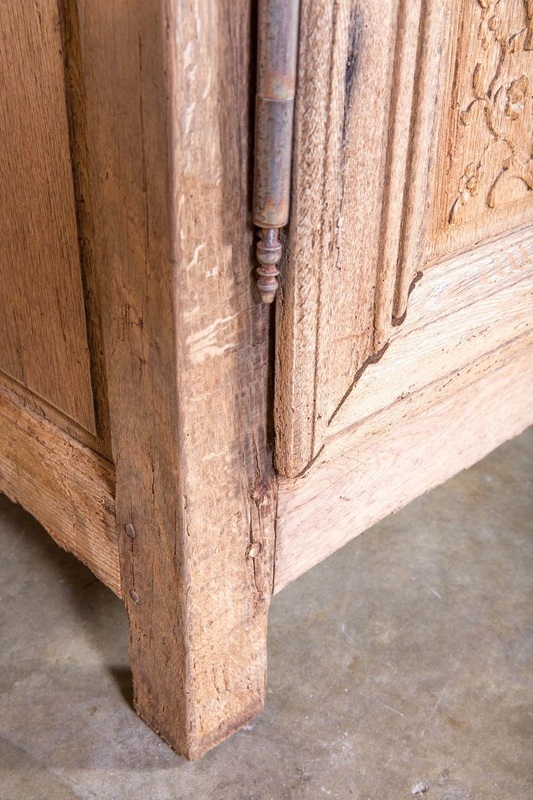 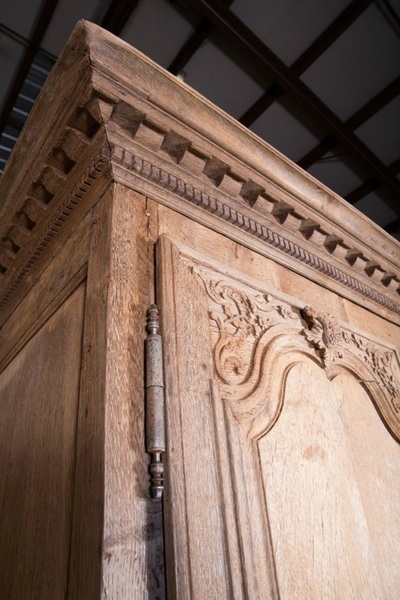 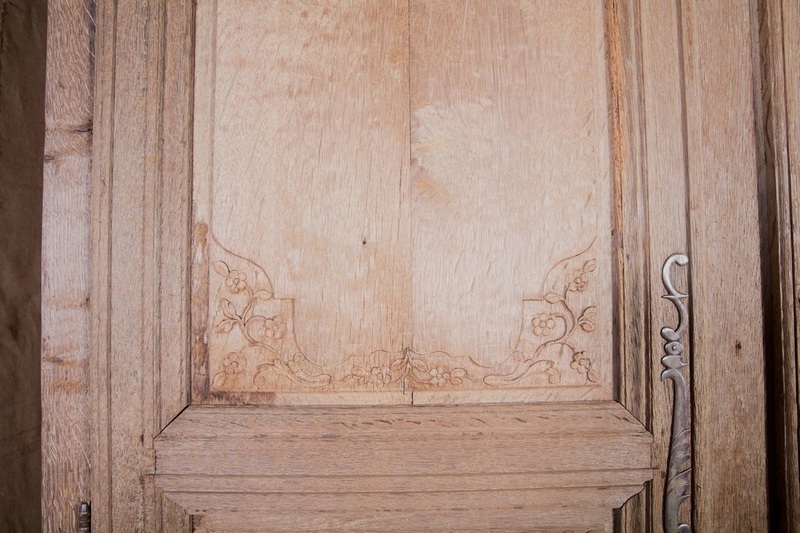 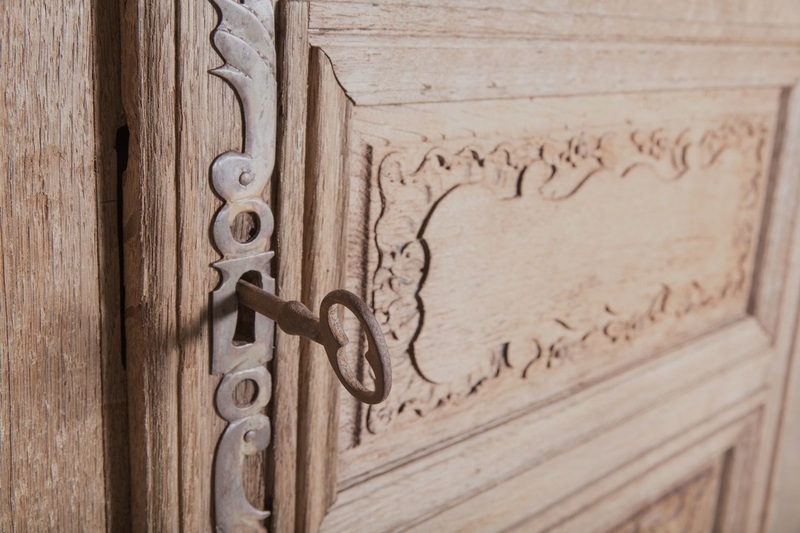 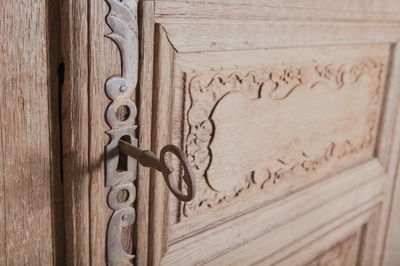 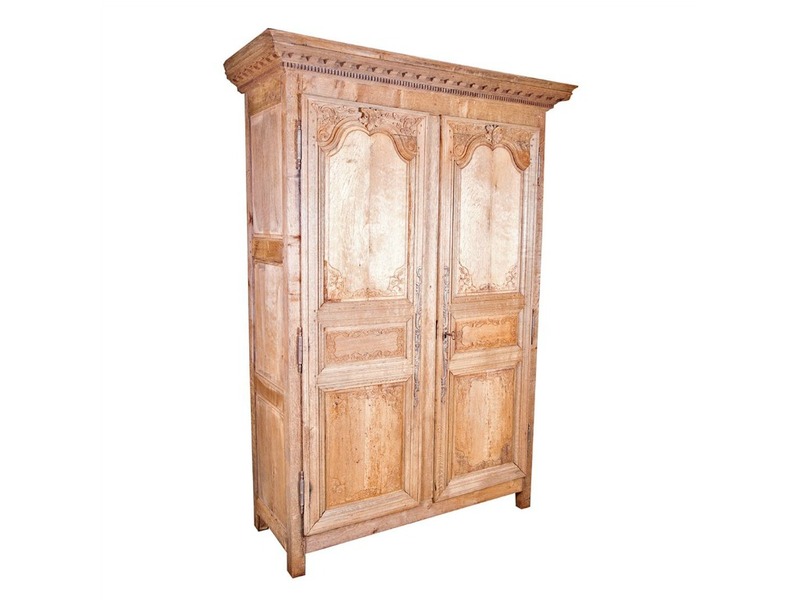 ﻿﻿﻿﻿Late 18th century Country French washed oak armoire handcrafted by rural artisans, featuring timeless Louis XIV inspired motifs. 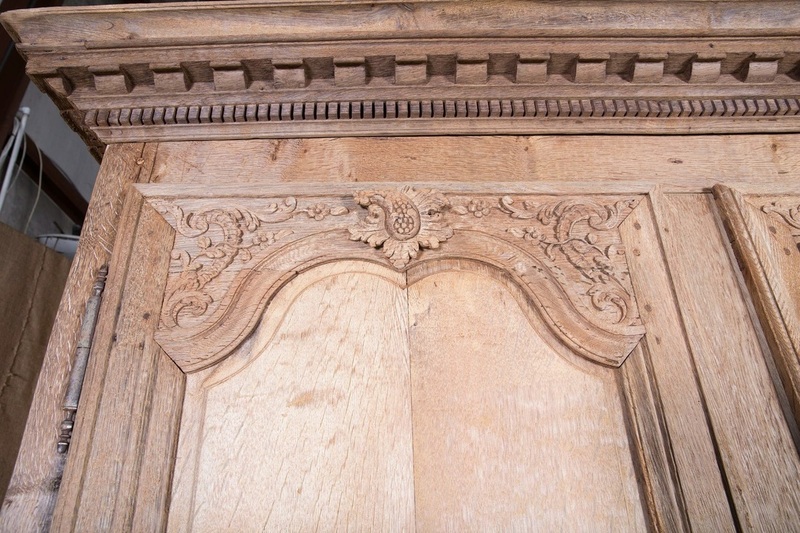 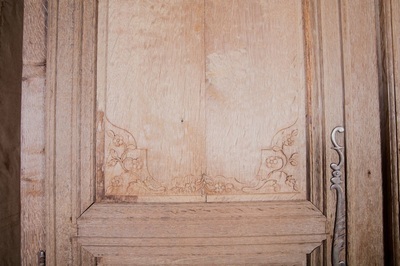 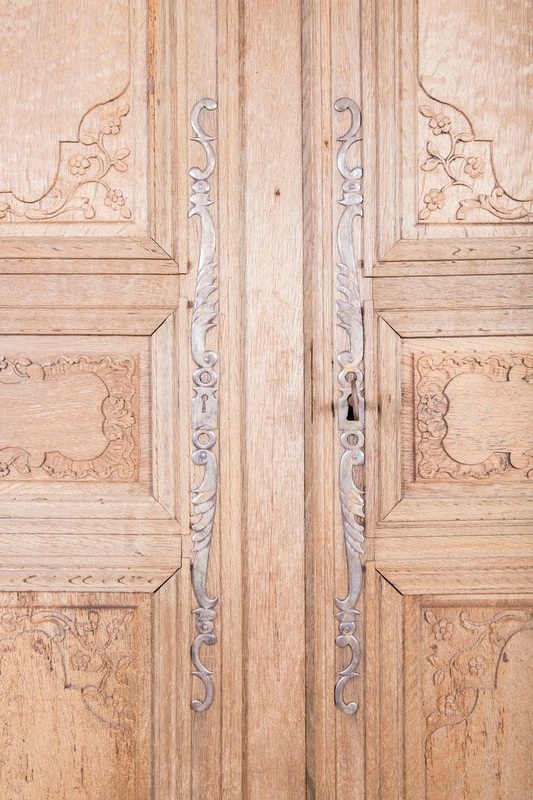 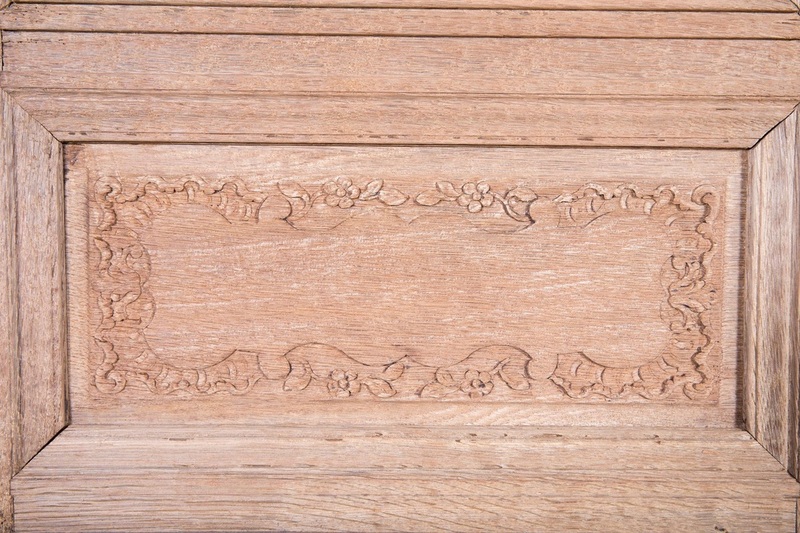 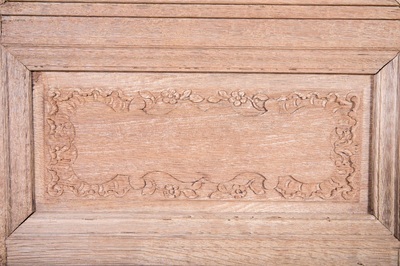 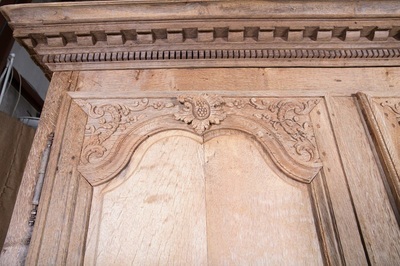 The intricately carved crown with rows of dentil molding, sits above a pair of paneled doors, with floral and foliate carvings, that open wide to reveal three interior shelves and two drawers. 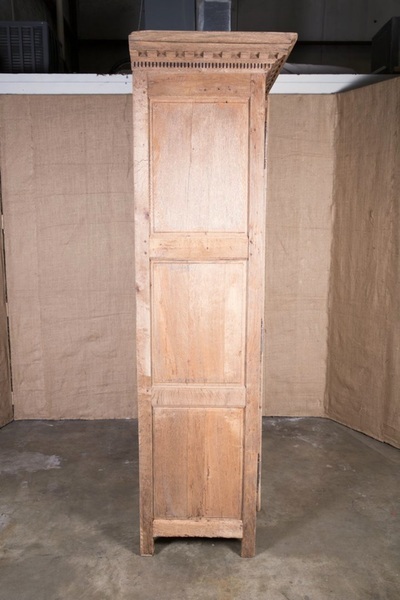 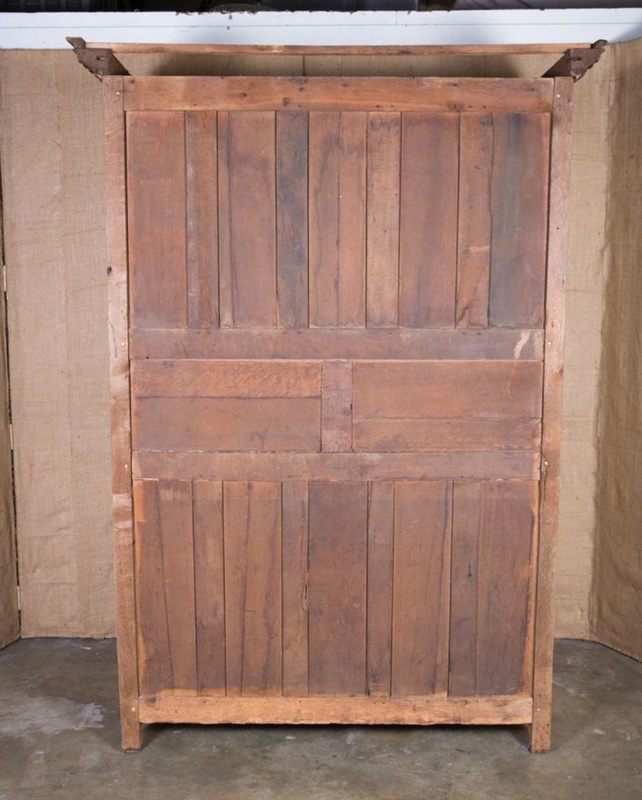 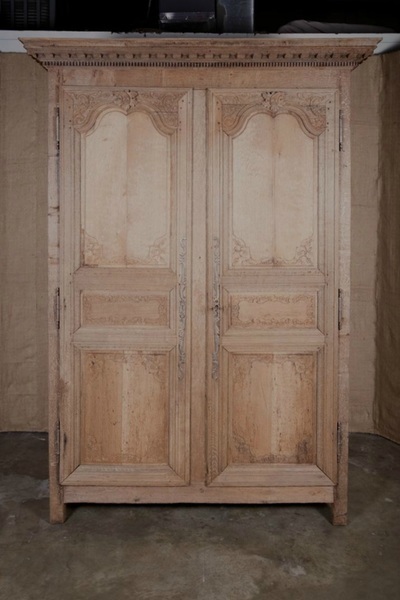 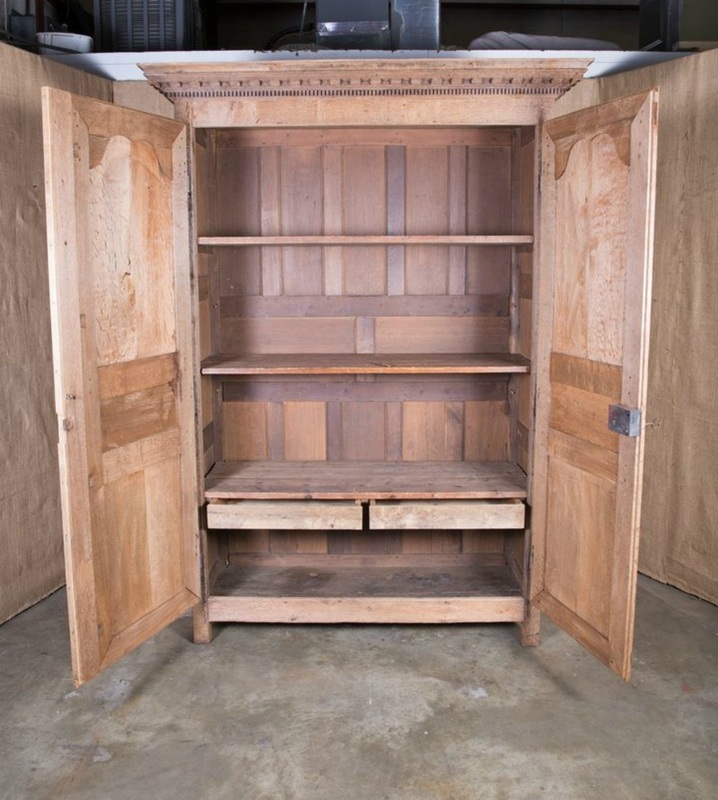 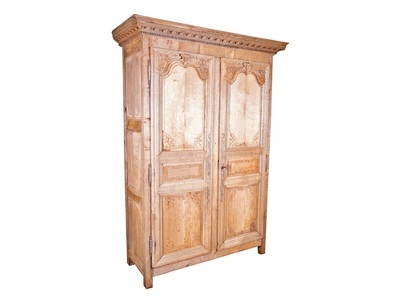 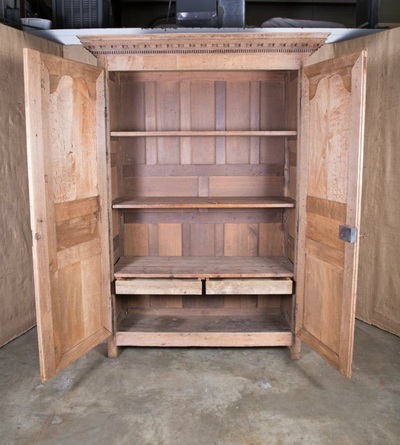 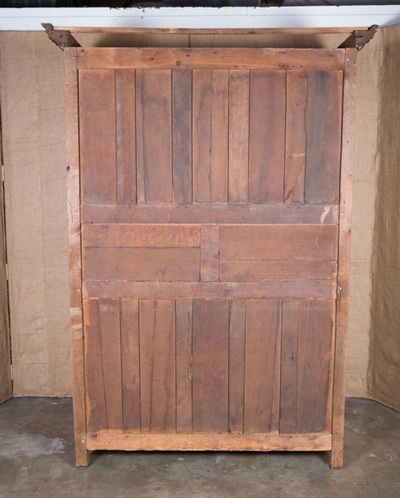 This delightful armoire is an excellent storage piece with plenty of room to outfit as a bar or entertainment center.